We promise we’re repeating ourselves on purpose. Find out from a linguist how you can work with your brain (and not against it) to effectively learn a second language through the practice of repetition. While it may seem obvious that repetition is an essential component to learning another language, we’ve gotten a lot feedback from our learners wondering why they keep repeating the same phrases when progressing through their Mango Languages courses. The truth is, repetition is what helps your brain most effectively hack a new language system. Find a friend, and teach them this string of numbers: 2-4-8-2-5-4-7-4-5-0. (That’s the phone number here at Mango Languages, in case you want to give us a call sometime.) Ask them to repeat it back to you. Could they do it? Now ask them what their phone number is. Did you notice that they were able to recall it much faster than the digits you taught them? What do you think is going on here, and what does it have to do with learning a new language? Our brains are far more busy than we are aware, so they find ways to automate whenever possible. The less you have to think about something, the more cognitive resources your brain has to focus on its other tasks. Since a brain can only do so much at one time, it finds little hacks to make the things it has to do frequently, easier. It turns out that among the knowledge that makes up your linguistic abilities is information about formulas, or strings of words that your brain has heard together so many times that it has formed a chunk. We’ve heard questions like ‘What’s your phone number?’ so many times, that the brain has decided it’s easier to deal with that information as one unit rather than have to put it together every time it comes up. Going back to our little experiment above, your brain has saved information like your phone number as a chunk, since this is something you have to access frequently. Trying to remember the Mango phone number takes more cognitive resources, since your brain has to put that information together on the spot. So, how does this work for learning another language? Your brain approaches learning a new language in the same way that it approaches learning other things — it wants to be efficient, and it wants to automate. It wants to seek out patterns, and then find out how those patterns can be replicated and expanded. To do this, though, your brain needs to have a big database of information to work from, and this is accumulated by frequent and repeated exposure to linguistic input — in other words, through repetition of words and phrases in your target language. The more you experience your new language — through talking with native speakers, watching movies, or using language-learning software — the more linguistic information your brain has to analyze and categorize. Once you’ve learned chunks of language, your cognitive resources are basically freed up to do other things — like learn and use different words, create longer sentences, and express more complex thoughts, with plenty of extra room for a joke or two. The more you practice, the more your brain can automate, and the more fluent your conversation in another language will be. 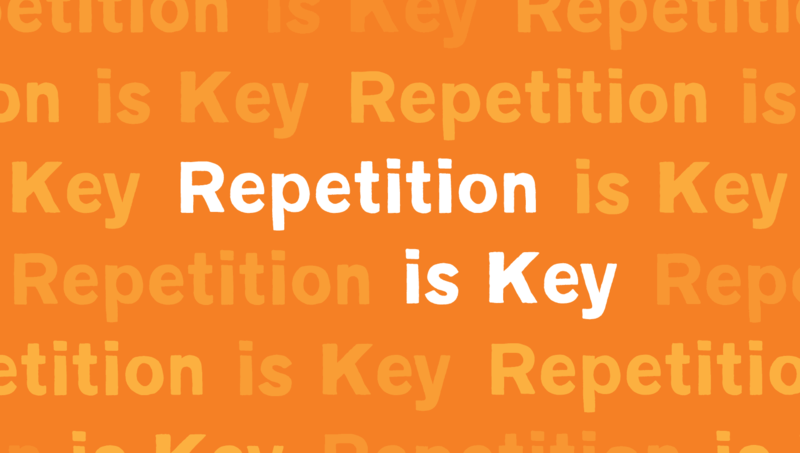 To help your brain do what it does best, we’ve incorporated repetition into the structure of our language-learning system (see how it works) by asking you to repeat the same word or phrase out loud several times — to build that pattern recognition in your brain. Our language-learning system also repeats material through the use of automatically generated quizzes and critical thinking slides, that help you draw on the patterns you already know to build new connections. Click the button below to create a free learning profile or jump back into automating new patterns in your target language. What are some ways that you are practicing repetition in learning another language? 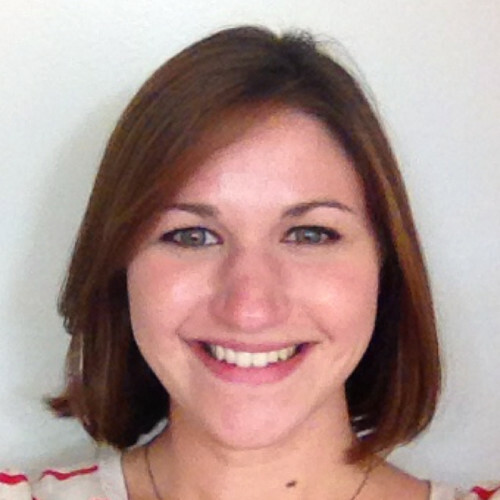 Laura is a Linguist at Mango Languages, with a Ph.D. in Linguistics from Georgetown University. Her research interests include theoretical morphology and syntax, and second language acquisition. When she’s not being a nerd about pronouns and verb endings, or shooing her feline research assistants off of her work, she can be found hanging out with her family in rural Vermont.